Towing doesn’t have to cost the world. Nor does it have to raise your blood pressure level. If you find yourself in need of towing assistance, come to Five Star Towing in Long Beach and let us handle things. Whether you’ve been involved in an RTA, suffered a blown tire, or your vehicle has simply given up the ghost, we can help you back on the road. We provide a comprehensive tow truck service in and around Long Beach, California, that’s geared towards helping you without the stress. We can tow you to a nearby repair shop, your home address, or just about anywhere else that makes sense to you, and we can do it 24 hours a day. For years, Five Star Towing Long Beach has been committed to helping the local community stay on the road. We’ve built a loyal customer base thanks to our honest approach and can-do attitude. Hire our tow truck services and you can expect only the highest quality in customer service, to go alongside highly-proficient technicians and a low, low cost. We aim to attend all callouts within 30 minutes of the initial call, which means you don’t have to worry about being stranded for a prolonged period of time. We believe in being 100% clear and upfront. When we quote you a price, that’s what you’ll pay. Not a dime more. For some companies, the promise of low prices comes with a reduction in quality. Not at Five Star Towing in Long Beach. Yes, we keep our prices down but that doesn’t mean you’ll suffer. In fact, you’ll likely be surprised at the level of care and attention to detail we provide. We’re here to get you back on the road as quickly and as affordably as possible. That’s how we measure our success rate. In addition to our towing services, we also provide a number of roadside assistance services, including battery jump starts, auto lockout assistance, empty gas tank refilling, and more. 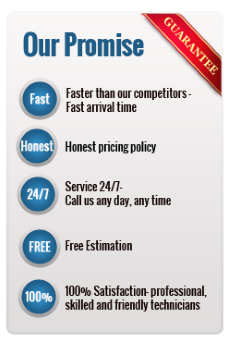 Of course, all of these services come with the same low cost promise as our towing service.